If you set a goal you’re positive you can achieve, then you’re not dreaming big enough. Tight on time? Stick with the 3 Key Takeaways and The Basics. These will provide your athletes with a solid foundation for understanding the importance of goal-setting. Goals are designed to help you get to where you want to go. An aim or desired result; the object of a person’s ambition or effort; the destination of a journey. They are the road map to your dreams, helping you achieve feats that otherwise might feel impossible or overwhelming. Goals can be focused on athletics, academics, health, personal development, careers, or anything else that is important to you. Research shows that when you achieve goals that are important to you, your feelings of well-being increase. Jimmy Moody and his U.S. Olympic Fencing National Teammates set a long-term goal of becoming the first American team to ever earn a #1 world ranking. In order to do this, the team had to focus on a series of short-term goals to ensure they were making progress toward their long-term one. The team members collectively wrote down these goals and then agreed how they would be implemented. 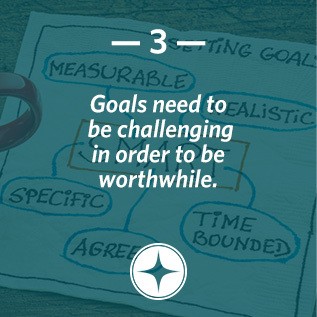 They trusted that these short-term goals, if regularly evaluated and changed if necessary, would help them meet their goal of a #1 world ranking. Jimmy’s personal long-term goal was to earn a spot at the Olympic Games. 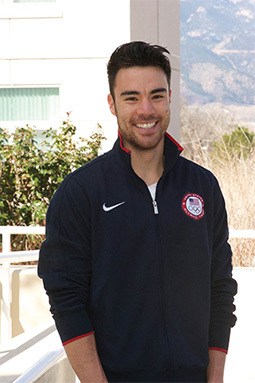 In order to try and reach this goal, he established short-term goals that included making the U.S. World and National Teams, both of which helped him get close to achieving his Olympic dream. To get to that point, he also set short-term goals for his daily workouts that kept him productive and focused every day. 2. How have you used the goal-setting process, like Jimmy does, in your own life? your sport experience or help you plan for the future? Practice setting goals with your athletes and learn why it’s important to do so with this 10 minute activity. 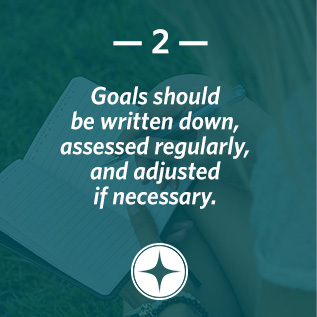 A goal–setting worksheet that athletes can complete in class, at practice, or on their own time (15-minute activity). Celebrate your groups’ completion of the TrueSport Goal–Setting lesson with this special certificate. Sign-up to receive resources on Goal-Setting! If you are a coach or parent that wants to develop well-rounded youth athletes, check out our Learn Goal-Setting section for all the latest articles and infographics regarding Goal-Setting.